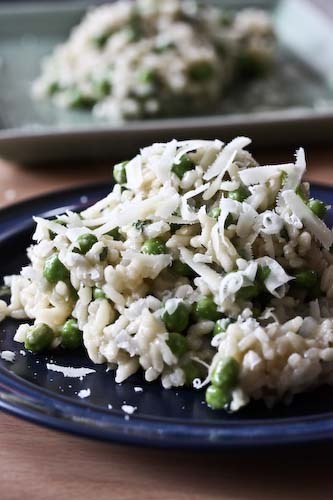 So, my last post was a review of the Woman's Day Every Day Cookbook in which I gave you my new favorite vegetarian dish. I told you about the set-up of the book, organized around the months, and then further broken down by weeks to make shopping and menu-planning almost completely effortless. I won't restate everything I wrote last time (that's what linking is for!) except to say that the simplicity of these recipes did genuinely surprise me when both of the things I made turned out to be delicious and full of flavor. The last dish, the Roasted Spaghetti Squash with Tomatoes and Zucchini relied on the mingling of flavorful fresh vegetables. This one gets much of its kick from Spanish chorizo. Which is actually a fairly brilliant move. Because these days you can find great Spanish chorizo pretty readily, and then let this sausage of dried smoked red peppers and pork flavor the other ingredients by proxy. 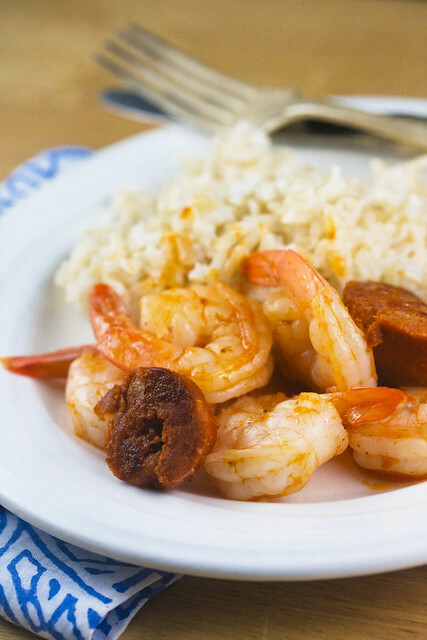 The shrimp and sausage probably isn't quite enough to stand all on its own, but served with a side of rice and it's a perfect, incredibly fast, and (at least in this apartment) very popular meal. Heat oil in a large nonstick skillet over medium-high heat. Add chorizo and sauté 2 minutes until browned. Add shrimp and sauté 1 to 2 minutes, just until shrimp turn pink. Add sherry and sauté 1 minute or until shrimp are cooked through. Garnish with parsley, if desired.